Photo credit: Luna Maria / iStock. Rioja, Priorat, Ribera del Duero, Montsant… Valencia? If that last word sticks a bit in the throat, it’s either because you inherently know it doesn’t belong in the roster, or because you’ve never actually spoken it out loud before. If the latter, fair enough. Historically, aside from the faded cachet of Alicante’s Fondillón, Valencia has been the source of hearty if forgettable bulk wine, the sort the French are currently fond of loosing across their highways in protest. And while big blends remain the dominant mode of production, a handful of producers are taking up arms against this dim reputation. Their weapons? A meticulous but sensitive approach to winemaking and Valencia’s remarkable bounty of old vine indigenous material. The Comunidad of Valencia is located along the Mediterranean coast, a few hours south of Barcelona. The broader region is sometimes referred to as the Levant, meaning the “getting up place,” as its eastern position places it closest to the sunrise. Confusingly, the word “Valencia” can reference several areas, as it is the name for the comunidad autónoma (or autonomous community, effectively a state), one of the provinces within the autonomía, a DO, and the third largest city in Spain. The Mediterranean Sea is a primary influence on the region. Its associated climate is conducive to ripening both grapes and oranges, for which the region is most famous, and the fish and shellfish pulled from its waves inform the local cuisine. This is the birthplace of paella, but sweet-fleshed prawns are also ubiquitous. The sea is only part of the story. In the west is the vast and arid Castilla-La Mancha DO, which makes Valencia a kind of transitional area between the coast and the high desert plains of Central Spain. The result is a remarkable diversity of terrain and a correspondingly sundry portfolio of wines. Indeed, the drive from La Mancha to the port of Valencia is dazzling. At first, the vegetation is sparse, with the naked earth forming paisley patterns out of gold and terra-cotta swales. Vines, when they appear, come in patches—shockingly dark green, bushy, and low. Progressing deeper into the commune, the elevation drops and the land folds into hills. The soils become ruddy and streaked with white. Olive trees appear. The tracts of vines broaden and ultimately consume the countryside; even the curved inlet of a highway entrance ramp was under vine. Closer to the coast, orange trees muscle into view, displacing vineyards as they extend across massive, ancient terraces. And all this landscape—desert, vines, and orchards alike—is studded with striking buildings that are broadened by courtyards and lifted by arches, artifacts of the Moors, who lingered here late into their occupation. Valencia is responsible for 5% of Spain’s enological output and is the fourth most widely planted of the country’s 17 autonomous regions, with a reported 61,226 hectares under vine (2015/16). According to Paco Senís from Celler del Roure, because phylloxera came late to Valencia, many other regions purchased its wine to cover their deficits. In this way, Valencia established itself as an early source of bulk wine. The darkly hued and sturdy Bobal, which is native to the area, was especially coveted for adding brawn to red blends. So much Bobal was planted to satisfy this need that today, it is the third most widely planted grape in Spain, claiming 8% of the country’s total vine acreage after Airén (24%) and Tempranillo (21%). Valencia can be a difficult comunidad autónoma to summarize as it is quite spread out, is topographically and geologically diverse, and cultivates a range of varieties, many of these specific to their subregions. Climatically, the area is rather hot with low rainfall. This heat is mitigated by regular sea breezes along the coast and by higher elevations in the west. Though the entire region is classified as Mediterranean in climate, the western reaches of the comunidad skew continental, with less humidity and broader diurnal swings. The soils are diverse, but the region is generally characterized by varying combinations of sand, limestone, and clay. Within Valencia’s boundaries are three distinct DOs: Alicante, Utiel-Requena, and Valencia, with Alicante the furthest south and Utiel-Requena the most inland. Only Utiel-Requena is one contiguous piece; both Alicante and Valencia are composed of distinct portions linked by legislature and tradition rather than direct proximity. Per Wines of Spain’s 2016 statistics, the Comunidad Valencia’s planted hectares are divided as follows: 9,166 hectares planted in DO Alicante, 34,000 hectares in DO Utiel-Requena, and 18,060 hectares in DO Valencia. Alicante is the most historically celebrated of Valencia’s DOs due to the ancient fame of its Fondillón, a dessert wine based on Monastrell (Mourvèdre). Of all the DOs, Alicante has the fewest vines in the ground, but that wasn’t always the case. In 1877, after phylloxera tore through France, a preferential trade arrangement with Spain was signed that ushered in an era of rapid growth for the Spanish wine industry. This was effectively cancelled in 1892, at which point Alicante had 93,000 hectares of vines in the ground. Taking this deal off the table decimated the area both viticulturally and financially, and the region retreated to its Fondillón and bulk wine. The first signs of a rebirth wouldn’t be seen until 100 years later, in the 1990s, triggered by the rise of the boutique winery model and the sudden popularity of rich, dry Monastrell from the neighboring regions of Yecla and Jumilla. The smallest of the DOs, Alicante is composed of three main subregions: La Marina in the east, Rio Vinalopó in the west, and El Comtat in between. Rio Vinalopó is the classic heart of Alicante and was originally defined in 1957; La Marina was added 30 years later and El Comtat in 2007. Rio Vinalopó is a hot and dry valley that extends inland from the coastal city of Alicante. The western reaches abound in limestone and can hit elevations of up to 400 meters. Here, Monastrell dominates. Tiny La Marina lies in the east and effectively occupies a coastal outcropping, as a considerable amount of the region is surrounded by water. As such, the vineyards are lower in elevation and more humid. Moscatel (Muscat) is the most successful grape. El Comtat is in the western hills. With mountain peaks that reach as high as 1,500 meters, this is the highest section of the whole province. As a region, Alicante’s temperatures can reach 42 degrees Celsius in the summer and fall to -9 degree in the winter. Average rainfall is 250 millimeters and soils are sandy loam with limestone. Fondillón is an unusual creation. It is a non-fortified dessert wine made from super ripe Monastrell grapes that are occasionally dried in the sun. The wine is then aged for a minimum of 10 years, typically in a solera. Though quite sweet and oxidized, the wines tend to retain that notorious Monastrell structure well into old age. Fondillón’s history extends back several hundred years, and it has been celebrated in writing since the 15th century. Shakespeare referenced it and Louis XIV was a fan, rumored to have enjoyed cake soaked in the nutty liquid on his deathbed. Aside from Monastrell, the other main grapes of the region are Garnacha, Tempranillo, Bobal, Giró (a local clone of Garnacha), Merseguera, and Moscatel. 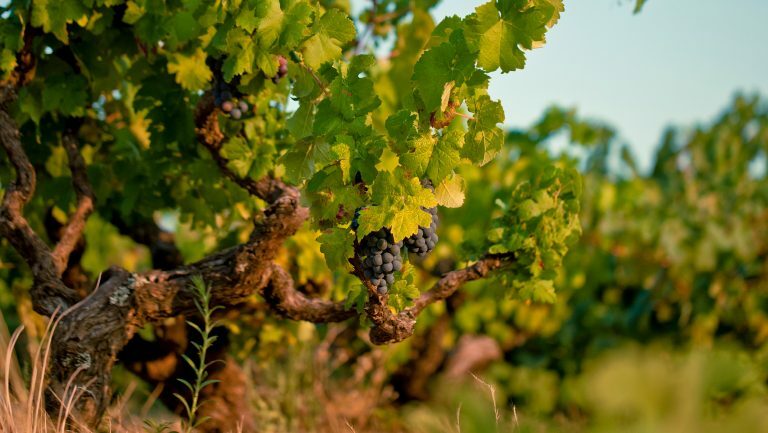 Garnacha Tintorera is also found here, and while its more popular synonym “Alicante Bouschet” implies a local origin, the red-fleshed variety was, in fact, first bred in France. From these grapes, many styles of wine are produced, including white, red, and rosé, ranging from dry to sweet. 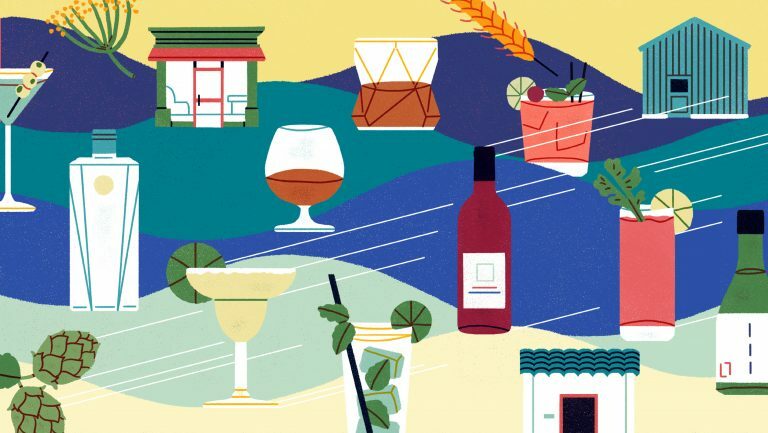 This list includes vino de licor, a fortified sweet wine typically made from Moscatel, and vino de doble pasta, a rustic red in which the wine is fermented on a previous batch’s skins for amplified extraction. Rich, ripe, dry Monastrell seems to be the dominant expression coming from many of the quality producers, but that style can quickly bore with its slickness. During my recent visit, I found the finest and most exciting wines to be those which steered away from the easy appeal of excess oak and sugar, such as the Monastrell from Bodegas Enrique Mendoza. From a viticultural perspective, Utiel-Requena is the most significant subzone of Valencia. It is named for the townships of Utiel and Requena, the population centers of the DO. The indigenous Bobal is the dominant variety by far, accounting for 72% of plantings. Interestingly, over half of this acreage is more than 40 years in age, and certain vineyards date back to the early 1900s. This extreme vine age is helpful in mitigating Bobal’s productive nature, and the fruit (that which isn’t destined for one of the many local co-ops) can make for some truly compelling wines. Based on the lobbying efforts of a single man, Vicente García of Pago de Tharsys, the Requena half of Utiel-Requena is authorized to produce Cava, making it one of only a handful of areas outside Catalonia with such permission. García, a native to the area, had worked for years as the technical director of Segura Viudas. He returned home to head winemaking at Torre Oria, a historic Requena estate, but still wanted to make Cava. The deliberations were lengthy, but in 1989, Torre Oria was granted permission to produce Cava, and in 1993, that license was extended to the entire Requena region. Now, Cava seems to be a staple among the better producers of Requena, and quality is often high. This has brought some extra wealth to the area as, per García, growers can charge up to three times more for Cava grapes than for still wine grapes. Cava’s growth in Requena is finite, however, as the DO mandates that a minimum of 85% of the area’s vineyards be dedicated to red varieties. Utiel-Requena is extensively planted, with locals estimating that around 80% of the land is under cultivation. 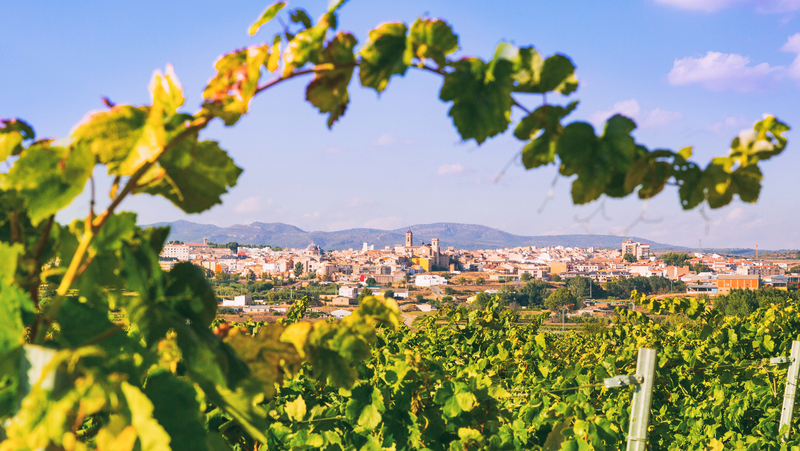 Utiel is the larger of the two towns but boasts a smaller population and far fewer wineries than Requena. Due to their proximity, the two areas have similar climate and soils. This is the warmest of Valencia’s DOs, with low rainfall (annual average is 400 millimeters), elevations that range from 600 to 900 meters, and dramatic temperature extremes that can hit as high as 41 degrees Celsius and as low as -6. Soils are a combination of clay, marl, sandstone, and limestone, so loose and friable that a walk between vine rows can be challenging. Bobal dominates the vineyards, but its plantings have shrunk by around 30% in the past 30 years. Tempranillo is the second most popular variety, followed by Macabeo, Garnacha, Cabernet Sauvignon, Merlot, and Chardonnay. 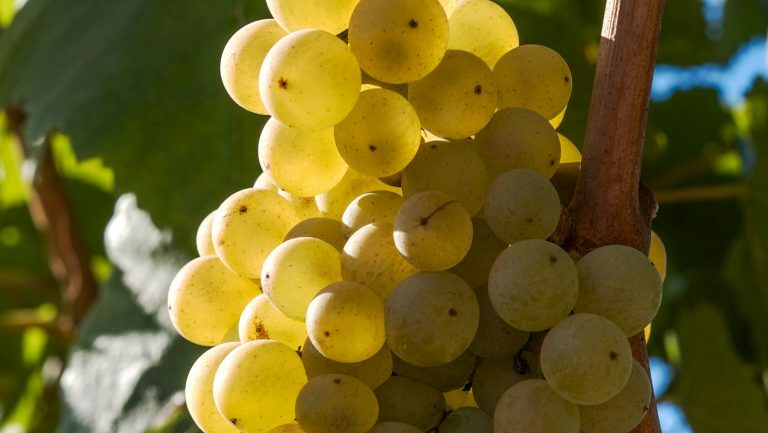 Legally, these grapes can be used to produce a similar range of wine styles as in Alicante, but with the emphasis on dessert wine swapped for the novelty of sparkling. I found that the best reds are made from Bobal and offer earth-inflected black fruit and full body balanced by bright acidity and dusty tannins. Unoaked Bobal, intended to be consumed with a chill, was surprisingly delightful. Many of the Cavas are pleasant and fruity, but the more serious examples display a pronounced autolytic character and a noble bearing. The Valencia appellation is physically spread out and occupies two noncontiguous swaths of land. Contained within it are four subzones, each with its own personality and strength. Alto Turia, Valentino, and Moscatel are all situated to the northwest of the city, with Clariano in the south, close to Alicante. Unlike the other DOs, there is no one dominant variety, although the white grape Merseguera comes closest. Rolling hills covered in vines and oranges feature a patchwork of soils made of sand, clay, and limestone. The climate is slightly more temperate near the coast, but across the region, temperatures throughout the year can range from -10 up to 40 degrees Celsius. Rainfall averages 450 millimeters annually. Of the subzones, Alto Turia is the most distinct, with high-elevation vineyards that stretch from 700 to 1,100 meters. It is dedicated almost entirely to white wines, which are typically made of Merseguera and Macabeo vinified in a dry and bright style. As Valentino is closest to the coast, its vineyards range from high elevation to near sea level, across a range of soil types. The area is planted to many grapes (including Merseguera, Macabeo, Planta Nova, Garnacha Tintorera, Tempranillo, and Cabernet Sauvignon), which produce a wide spectrum of wines: white, rosé, and red as well as vino de licor. Moscatel sits just inland from Valentino and is dedicated to the production of sweet wine and vino de licor from the Moscatel de Alejandria variety. Interesting things are brewing in the Clariano subzone. Pablo Calatayud’s Celler del Roure is the star, and his thoughtful portfolio of wines contains a range of blends based on indigenous varieties such as Verdil, Mandó, and Monastrell, many of them fermented in clay amphora in a recently resurrected ancient underground winery. These wines, with their modest extraction, freshness, purity, and personality, prove what is possible in a region still beleaguered by a pedestrian reputation. Happily, Celler del Roure is not alone on its quality quest. Similarly minded wineries across three nearby towns have created an association called Terres des Alforins, banding together to promote regional wines and encourage tourism. Vino de Pago, or DOP Pago, is a new, estate-only designation that first emerged in Spain in 2003. To qualify, a producer must meet a slew of criteria ranging from the precise to exceedingly vague, such as a decade-long track record of quality winemaking. Interestingly but not surprisingly, the producers who apply for such a designation tend to be in the less prestigious DOs, such as Castilla-La Mancha and Navarra. At current count, 2 of Spain’s 14 DOP Pagos are located within Valencia—El Terrerazo by Bodega Mustiguillo and Pago de los Balagueses by Vegalfaro—with more applications in the pipeline. While the Vino de Pago classification system is a good promotional vehicle for individual quality estates, it is not politically uncomplicated. Contrast it to the Terres des Alforins model. Instead of attempting to lift their appellation through their good work and leadership, producers seeking DOP Pago status seem to be trying to work around it. Also, it can be argued that by legally isolating their estates, they are interfering with the understanding of regional terroir. Nonetheless, local producers seem enthusiastic about this option, and at the very least, it stimulates conversation around the gap between an area’s reputation and its actual potential. Pago de Tharsys was established in 2002 by the legendary Vicente García, Pied Piper of Cava. Unsurprisingly, this winery dedicates the meat of its production (over 80,000 cases) to a range of Cava, many of which are exceptional. Though hardly the most sophisticated or daring wine of the lineup, my favorite was the entry-level sparkler, the NV Carlota Suria Brut Nature. This zero dosage wine was made from 100% Macabeo that spends about a year on the lees. It offered a properly yeasty nose and a fruit-forward palate with a precise, bright finish. The 2013 Único is the Pago de Tharsys version of a blanc de noirs. Made entirely of Bobal (which means it can’t be labeled as Cava), this interesting wine was far more broad and low-toned, with a nose of underripe strawberries and hard cheese. Sporting a hue of the palest pink, the 2013 Millésime Rosé Brut Reserva (Garnacha) walked the line between playful and serious. Ripe red fruits joined scents of biscuits and flowers in the nose, and the palate was high in acid with a faint wisp of sugar in the finish. Pago de Tharsys also produces a range of still wines, though they seemed a touch rustic in comparison to the Cava. The 2016 Academia de los Nocturnos Bobal was made in an unoaked style, meant to be drunk young and with a light chill. Juicy and bright, it showcased bright acidity, very forward dark red fruits, and a lightly tannic finish. The 2011 Nuestro Bobal, however, included 15% Cabernet Franc and was more serious and savory, with a tomato- and herb-kissed nose and structured palate. Chozas Carrascal is also located on the Requena side of Utiel-Requena. The López family planted the vineyard in 1992 and sold fruit for years before launching an estate brand in 2003. Chozas Carrascal is an ambitious, modern operation, both in terms of infrastructure and wine style. Concrete tanks and eggs line the cellar, and the son, who studied at Montpellier and worked a year at Mouton, is set to take over winemaking. The vineyard, provisionally approved for Vino de Pago status, is planted to a broad selection of varieties, both indigenous and international, and their portfolio of wines is correspondingly diverse. I particularly enjoyed the 2015 Las 2 Ces Tinto, composed primarily of Bobal with 10% Tempranillo and 10% Syrah. Fresh and lively, with noticeable but ripe tannins and soft dark fruit, this wine was a joy to drink. The other standout was an anomaly. During my trip, I tried a handful of wines from the Bordeaux family of grapes, and they were typically either overripe or gruff. The 2014 El Cabernet Familiar (100% Cabernet Franc), however, was gorgeous and refined. The nose was composed of black pepper, tarragon, red olive, and plum. The palate was medium bodied, restrained, and elegant. Vera de Estenas has a contrasting “Old Spanish” feel in both its wines and 19th century winery. Like Chozas Carrascal, Vera de Estenas is provisionally approved as a Vino de Pago. Felix Martinez produces many wines from the property, but his best are culled from their patch of 100-year-old Bobal vines. 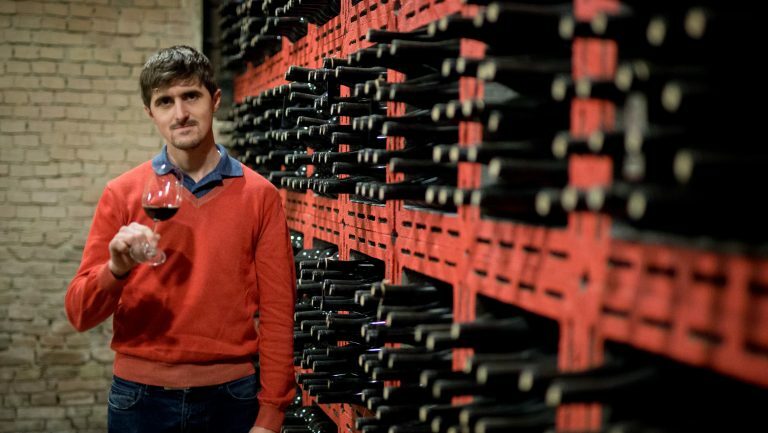 Bobal is serious business at Vera de Estenas, and Martinez believes above all in its aging potential, keeping a stocked library of back vintages stretching to 1982 that he regularly offers for sale. Of the recent vintages I tried, a few stood out. The 2016 El Bobal de Estenas was rustic and wild with a nose of wild blackberries, black pepper, and smoke. The palate was moderately fleshy but with very high acidity and significant tannin. The 2015 Madurado en Barrica was a blend of 85% Bobal with a balance of Cabernet Sauvignon and Tempranillo. This was a riper style of wine that was aged for four months in older French and American barrels and offered a concentrated prune-like core of fruit framed by a robust structure. On the nose, it featured scents of dried black currants, sweet tobacco, and clay. The 2014 Casa Don Angel Bobal is their top cuvée, aged for 15 months in new French oak. Both aromatically and structurally intense, this wine had a nose of smoke, blackberries, and dried herbs. The palate was concentrated and impressive—chewy but neither heavy nor overripe. The forward-looking and innovative Viñedos y Bodega Mustiguillo was the first estate in the Mediterranean area of Spain to receive its own Vino de Pago. Called El Terrerazo, its special status was awarded in 2010. The Sarrión family purchased this property in the 1990s, originally intending to build a large cooperative facility. But the son, Toni, lobbied for more of an estate model. His persistence won out, and the first vintage was 1999. Mustiguillo produces many wines, but its focus is on Bobal, with vines that range from 25 to 100 years in age. Though the winery equipment and techniques are cutting edge, Mustiguillo’s refusal to use new oak keeps the wines fresh and interesting. The 2016 Mestizaje Blanco, made from 60% Merseguera, 20% Viognier, and 20% Malvasia, was a creamy yet bracing wine with aromas of peach pit, white flowers, lemon curd, and kiwi. Its red counterpart, the 2015 Mestizaje Tinto (80% Bobal with Syrah, Tempranillo, Cabernet Sauvignon, Garnacha) was remarkably complex considering its low cost. It offered an intriguing combination of savory and fruit tones, and on the palate, the wine began on an almost jammy note that was quickly contained by an ample acidity and chewy tannins. The 2015 Finca Terrerazo Bobal spent 20 months in older French oak to quiet Bobal’s typically loud tannins. The result is a gorgeous, opaque wine of great concentration and intensity. The nose was lightly floral with scents of black pepper, cooked spiced apples, and currant. The palate was rich and chalky, with a more modest (yet still potent) acidity than I found in most other Bobal. Mustiguillo also makes a light and punchy Garnacha (2015) and a waxy, honeyed Merseguera (2015). Celler del Roure is making arguably the finest wines in the entire Comunidad de Valencia. It was founded in 1995 by Pablo Calatayud, a revolutionary who has done much to revive some of the lesser-known indigenous varieties of Valencia such as Mandó and Verdil. In 2006, the estate expanded operations by purchasing an ancient winery whose amphora-laden cellar may possibly date to Roman times. One of the winemakers, Paco Senís, feels that such amphora might be the perfect vessel for Valencian fruit. “Here, we have many hours of sun, and it is very hot. Barrels add structure, tannins, sweetness—while the amphora adds nothing. The clay is perfect to conserve the flavors of our earth, our fruit.” Indeed, their range of subtle, intriguing wines are very much centered around fruit and earth. The 2016 Cullerot is a bright wine of terrific elegance and purity. It is composed of shifting amounts of Verdil, Pedro Ximénez, Macabeo, and Chardonnay and aged in amphora for six months. The 2015 Safrà was a turbid ruby in color and is produced from 85% Mandó (“the Pinot Noir of Valencia”) and Garnacha that were farmed and harvested as if for rosé. The nose is lightly gamey and floral, and the palate fresh and lifted, with abundant character. The 2013 Parotet is composed of approximately 75% Mandó with Monastrell. This is a riper creation than the Safrà, and the Monastrell adds some spice and blood to the nose as well as heft to the palate. Still, the overall impression is of a deft and understated wine. Down in the Alicante region, Felipe Gutiérrez de la Vega has been making thrilling if quirky wines since 1978. Though his specialty is undoubtedly sweet wine, he also produces a range of excellent still whites and reds. Gutiérrez de la Vega vibrates with an energy well beyond his years. Though he is self-taught, he is now assisted in production by his daughter, who earned an enology degree from the University of Bordeaux. He works primarily with Moscatel and Monastrell, which hail from the La Marina Alta subregion and the inland mountains, respectively. Most of the wines I tried were unfinished barrel samples, but highlights include a dry Moscatel that was fermented and aged for three years under flor in the style of Fino Sherry called Tio Raimundo (2014). This fascinating wine echoes Sherry, but the extra fruit imparted by the Moscatel and the inflections from the combination of French, Russian, and American oak and Acacia barrels made for a singular, compelling creation. A barrel sample of 2015 dry Monastrell offered more meat than fruit, with a broad, chewy texture and a wild nose of underbrush, lavender, peppercorn, and leather. The 2015 Casta Diva Reserva Real Solera Blanco is Gutiérrez de la Vega’s take on white Fondillón, made from Moscatel. The fruit is harvested late and dried on mats before being fermented on its skins and aged in solera for over a decade. My very premature glimpse at this wine showed great promise. 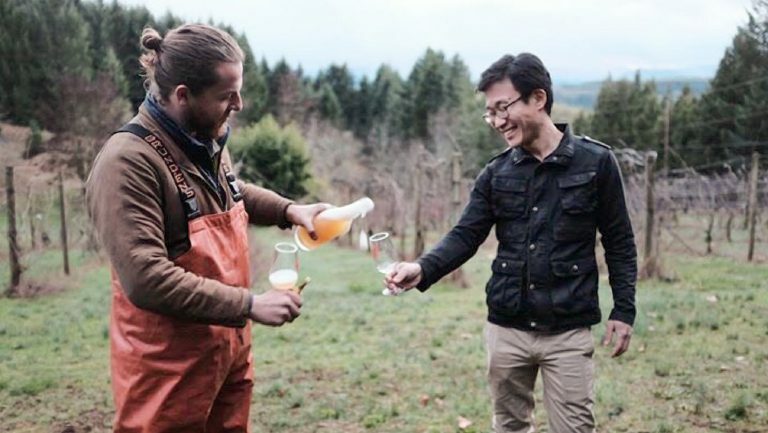 Rainier cherries, fresh apricots, honey, jasmine, and lemon marked the nose. On the palate, it was rich and sweet but very sculptural, with a fine and leading acidity. Of the finished wines, a 2010 Rojo y Negra, a 50/50 blend of Giró and Monastrell, was at a great place in its development, with a sweetly mature nose of cocoa powder, malt, and plum. On the palate, it was rich and inviting with resolved tannins and a modest acidity. But the finest wine was undoubtedly the 1987 Recóndita Armonía Monastrell Dulce Solera. This exotic creature presented an ever-changing nose of coffee bean, mint, blood orange, and a subtle toffee tone. The palate was concentrated and luscious, but also demonstrated heightened energy and finesse. An excellent counterpoint to Gutiérrez de la Vega’s edgy and characterful concoctions are the polished, modern wines of Rioja’s Artadi. According to Carlos López de Lacalle, his father was first lured to Valencia by a friend in Jumilla. They purchased their estate in 1999, specifically for its stand of old vine Monastrell. From these vines they produce three wines, all based on Monastrell. The two most important are El Sequé, a luxurious, extracted dry red with a powerful build and a vanilla-flecked nose of cassis, violets, and dark chocolate, and a sweet wine, El Sequé Dulce. This dark and fruity dessert wine is fortified and made more in the style of a Ruby Port than a Fondillón. The significance of the project extends beyond wine quality, however. For a renowned, Rioja-based winery to set up an outpost in Alicante is huge, portending a rising interest in the region. In addition to physical visits to the above wineries, I tasted through a set of samples. Highlights include the marvelous creations of Enrique Mendoza, an early pioneer of Alicante about whom other winemakers speak in reverence. His Monastrell wines were lighter on their feet, earth-toned, and clearly emphasized freshness over extraction. The 2011 Las Quebradas displayed a leafy nose of olive, iron, black cherry, black pepper, and leather. In the mouth, it was restrained and bright, with a pop of acidity and ripe but clinging tannins tickling the finish. The 2012 Estrecho was even better, with a lightly floral nose of cigar ash, dried tarragon, chocolate, and fresh raspberries. The acidity led the tannins, and the palate was taut. The result is a stripped-down wine of purity, despite its abundant big red fruit. The 2016 Bodegas Volver Tarima Blanco was composed of 70% Merseguera, 20% Macabeo, and 10% Moscatel. It was refreshing and straightforward, with a nose of lemon and wet stone and a vibrant palate. Also from Bodegas Volver, the 2015 Tarima Monastrell was rich and juicy, with ripe but present tannins, a medium body, and integrated acidity. The nose was dominated by black cherries accented with licorice, peppercorn, and dried leaves. A 2015 Telmo Rodríguez Al-Muvedre Monastrell presented as young and simple, with ripe, almost sweet rich black fruit, a mellow structure, and a nose of prune, green peppercorn, and olive. The 2015 Vicente Gandia Hoya de Cadenas 130 Anniversary was a blend of Bobal, Garnacha, Tempranillo, Cabernet Sauvignon, Merlot, and Shiraz from Utiel-Requena. Made in a sweetly fruited, very ripe style, this is one of the most forward and cherry-laden wines I tried from Valencia. The nose is composed of pomegranate, black licorice, and chocolate, and the palate is mouth-coating and extracted with ripe but grippy tannins. Finally, a 2006 Rafael Cambra Monastrell showed the aging potential of Monastrell from the Valencia DO. The nose was a charming combination of sandalwood, cocoa powder, and black plums, while the palate was soft, with a broad dusty core of black fruit and an integrated structure.